Last weekend we had to vacate our flat in Chamonix, perfect opportunity to explore what's beyond the Mont Blanc Massif. Italy was high up on our list and over a beer in the pub the night before with friends from EpicTV, the suggestion was made for us to head to Finale, Italy. Amazing rock climbing, great local B&B's to stay in, three hours drive from Chamonix and close to the beach. We were sold. Thanks for the suggestion Jools! 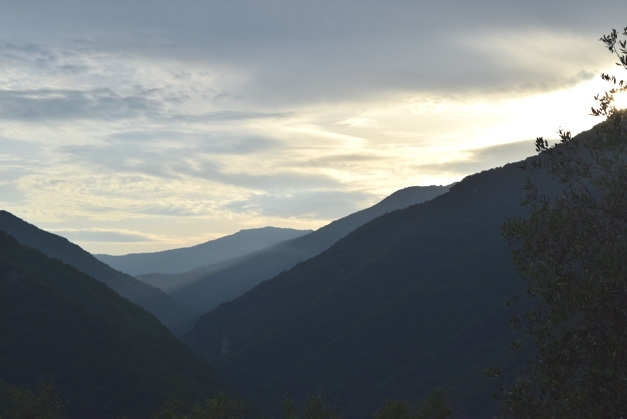 We packed up our flat, packed the car and headed off on a weekend adventure in Italy. If moving to Chamonix just 10 days before hadn't felt exciting and adventurous enough, we were off on another one! We drove through the Mont Blanc tunnel and headed out through the Aosta Valley. We made a pact that as soon as the clock hit 1pm, we would stop at the next town along the motorway and find somewhere for lunch. By luck we found an absolute jem in a neighborhood that seemed to be deserted. You can't go wrong with a plate of ham, salami, buffalo mozzarella and tomatoes. Oh and chocolate and pistachio Italian gelato to share. Bliss. This was the start of many great things to come. Casa Dei Nonni is situated right at the top of Castelbiano in a village called Versallo. It's run Andrea and his wife who were so welcoming, happy and accommodating. The rooms were idyllic with big breezy windows to let the summer air in, a comfortable double bed and en-suite bathroom. Good shower! Breakfast each morning was a feast. Freshly baked cakes, plum juice that was essentially liquid jam and utterly divine, bread with lemon, strawberry and apricot jam all made from Andrea's fruit trees. In case that wasn't enough, there was a full selection of cereals, fruit, yogurts, meat and cheese. Washed down with tea and coffee of your choice it was simply the most delightful way to start the day. During the mornings we explored the vast variety of rock climbing routes in the area. We were actually in Oltre Finale with enough rock climbing for all abilities to keep you entertained for years. Much was within walking distance of our hotel or easily accessible by car. The routes were easy to find and marked well. It's all sport climbing which means the routes are bolted so you clip into the bolts rather than placing gear. There were no queues for the climbs and in the areas we climbed in there was no one else there at the time. In the afternoons we headed down to the beach in Albenga, 30 minutes drive away, as it was the nearest beach to us and we didn't fancy spending too much time in the car. 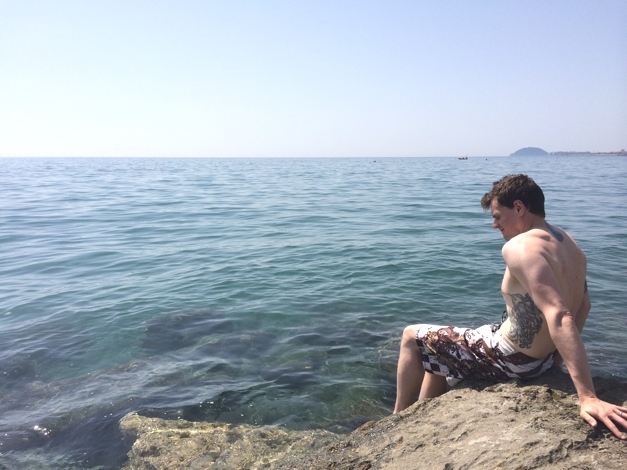 The beach in Albenga felt kind of like Italy's Scarborough! A rocky beach and beautiful ocean. We played in the water for a few hours, experimenting with creating a natural fridge to keep the drinks cold and taking photos and videos with the iPhone and Lifedge waterproof case. 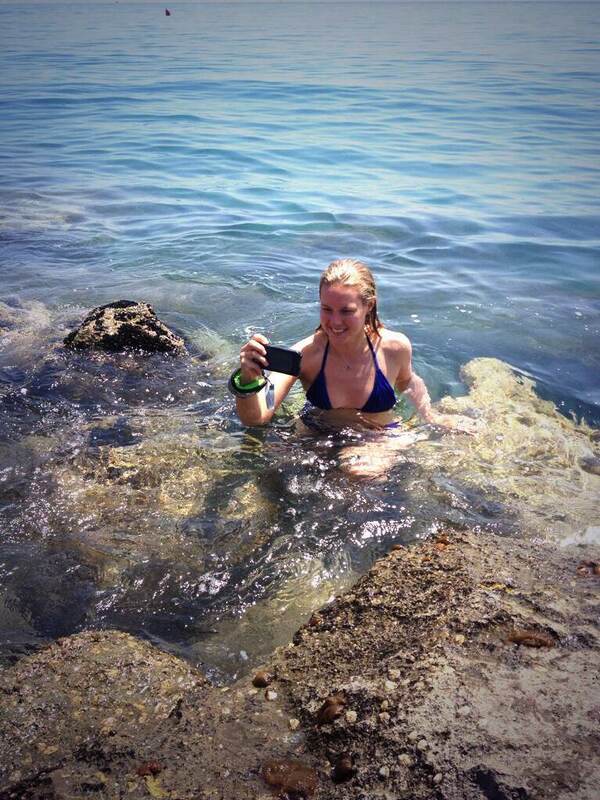 So much fun to be able to take my phone anywhere and not worry about damaging it*. Albenga has tons of restaurants and bars to explore. Tables squeezed into windy corridors in the old town, cobbled streets, candles, wine, pizza and more gelato of course! 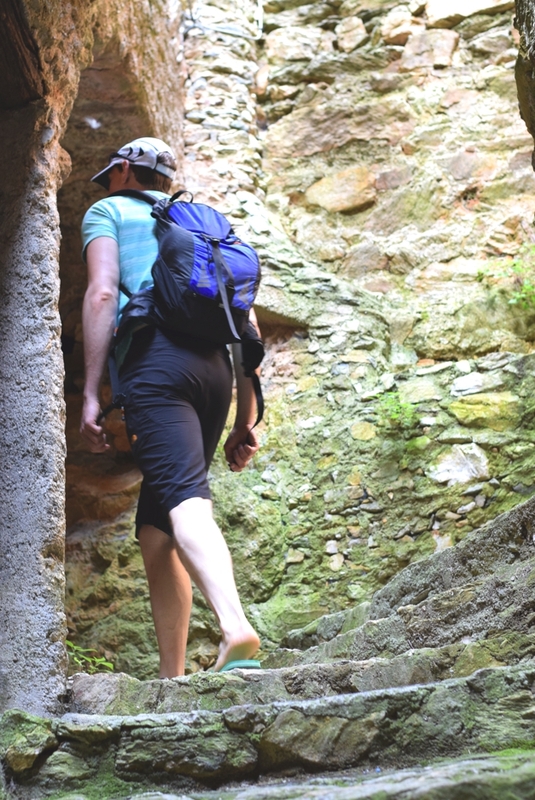 There are many trails connecting the four villages that make up Castelbiano so there's ample opportunity for trail running or walking. I ran up to the top of the hill one afternoon, it was 29 degress at 4pm so felt a little hot, but the view was well worth it and I certainly felt like I'd earned my gelato! One day after a recommendation from a friend in London, we went to Castelvecchio. It was a little further up the valley and well worth the trip. 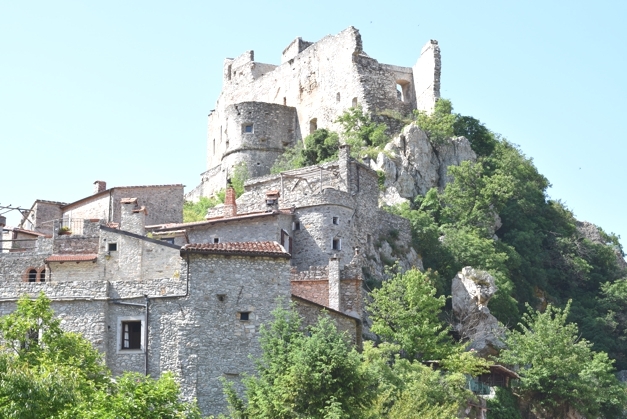 To access it, in the same way as the villages of Castelbianco, you drive up this stunning, winding road that cuts right through the hillside until you reach the top and see the castle. The views are to die for. That afternoon we spent in our hotel brainstorming, planning and dreaming about our new venture. This particular project is part of the reason we moved to the Alps, it's our opportunity to combine our love for the outdoors and challenging yourself with our experience in startups and how lessons from sport relate to high performance in business. We've been talking about this and batting ideas back and forth for months now so it was amazing to finally put pen to paper and start making progress. It's not the ideas that count but what you do with them, but it's a challenge as we all have great ideas and it can be scary and hard to put them into process. A friend commented on this picture on facebook saying "anything is possible with salami!" One evening we picked up produce for dinner from a local shop and Andrea very kindly prepared an evening picnic area for us overlooking the valley. This is without a doubt one of my favourite nights I've spent with Charley. There's something incredibly calming and wholesome about spending hours staring at nature and trees. 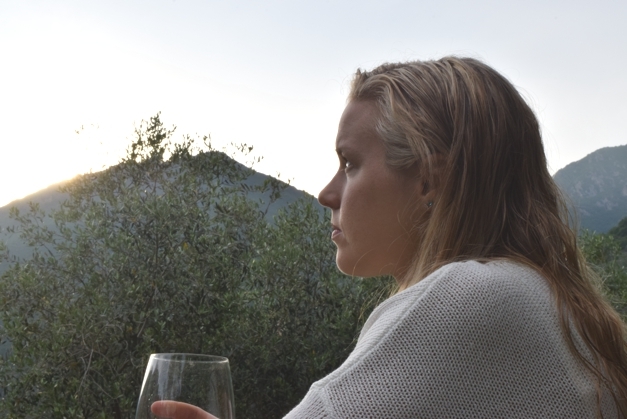 We watched the sun go down and the night sky come up as we ate our Italian delights and drank delicious organic wine produced locally. We talked late into the night as the fireflies fluttered around and the outline of the hills merged with the dark of the night. Around midnight we snuck back into our rooms and fell asleep happy. 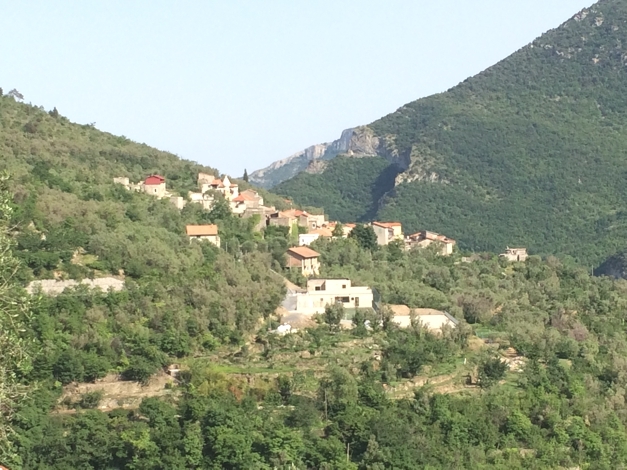 If you are looking for a weekend break in Italy where you can combine adventure with relaxation, hills and stunning views with the beach, we can't recommend this area and specifically Casa Dei Nonni enough. It cost us €65 per night for bed and breakfast. *I'm a Lifedge Pioneer which means you can use my discount code and get 20% off: SOPHIEPIONEER Check out my review on their products here.